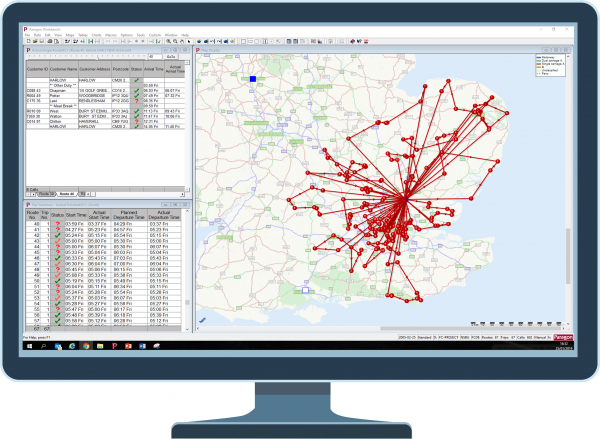 Route planning software is the first step to creating robust transport plans that reduce costs. Improving transport execution with accurate data automatically gathered daily from your live operation is the next step to transforming your transport department into a streamlined operation with improved visibility at every step. Paragon Live consists of 4 modules. The first Paragon Live module – Route Execution – interfaces with your telematics software to allow you to compare planned versus actual journeys. 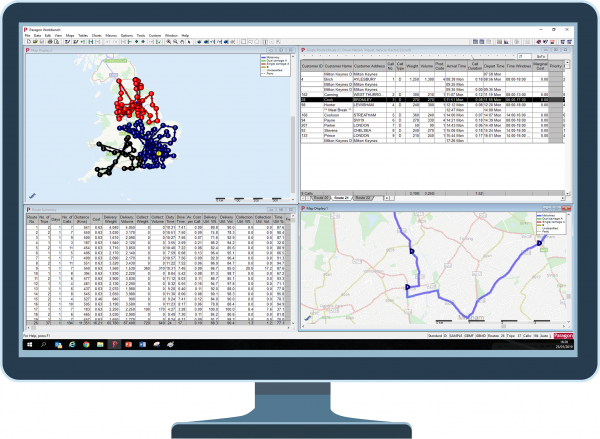 Real-world data is collated and can be automatically fed back into your planning process, providing continuous improvement and the basis for creating really accurate transport plans that make the best use of all your driver and vehicle resources. For example, you can plan using the actual number of hours worked by each driver in the last week, or the actual time it takes to deliver at a specific customer location collected from your telematics system, and feed it back into the planning process for continuous improvement. You might call it machine learning, or artificial intelligence, but to us it’s transport planning in the real world. How can I use Paragon Live to share data across my business? The combination of your Paragon plan and your tracking data allows you to collect a wide range of data and then report against many different performance indicators. Sharing that information with your colleagues in other parts of your organisation couldn’t be easier. 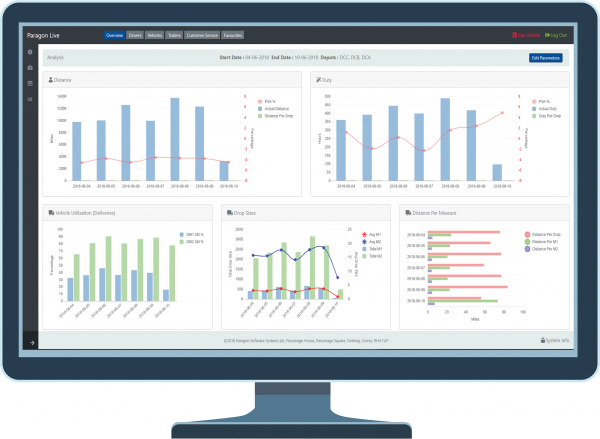 Using a second Paragon Live module called Live Management, they can view the data in Crystal Reports or web pages, receive weekly updates by email or view a screen with live KPI reporting 24/7. Your colleagues can access all of the information relevant to their roles without logging in to your Paragon routing and scheduling software to do this. The first step is to choose the Paragon route optimisation software that’s right for your transport operation. The next step is to integrate Route Execution with your preferred vehicle tracking system. If you use multiple systems then we can do that too. Once you’re up and running with Route Execution then you might want to add other Paragon Live modules such as Live Management or Waypoint Mapping to maximise the performance of your live operation even further. Whether you have questions about our live planning modules, our customers or our pricing, contact us and we’ll connect you with one of our experienced team.